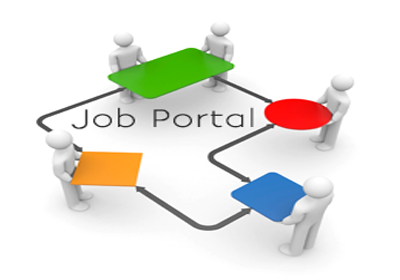 You surely need a job portal if you are willing to start a consultancy or recruitment firm. With less of manual work, and with extremely powerful and advanced features for a job portal, you will be able to run your business successfully. A jobs portal acts as a platform for both, the employers and the job seekers, where the employers can post their jobs and job seekers can apply to the same. Through these jobs portals, companies meet the right candidates having the qualification that meets their requirements. Contrary to this, companies can get in touch with suitable candidates from the large database of resumes using the integrated options and powerful tools within the portal. Mostly students search for a good job after completing their education, and these job portals are a really good platform for them to search jobs relevant to their qualification. Design club india can help you create a job portal that will dictate your path to success through an online platform for entrepreneurs and job seekers. This is the era of Internet, and most of the job seekers prefer searching jobs through the Internet rather than probing the newspapers or employment agencies. So, as per the demand, every job portal firm is willing to serve a good platform to these job seekers by mounting and maintaining their website. We provide you with the latest facilities such as secure gateway integration for processing of payments and online transactions by using a multitude of latest payment modes like PayPal etc., with the help of which, you can easily amend several payment options. Along with that, we also provide several other distinct elements of the site like emails, layout, and registration options. Ours is a successful job portal development company with years of experience and a tremendous track record of developing numerous job portals and/or websites.